The user-friendly LaCie Hard Drive, Design by Neil Poulton adds sophisticated style to your desktop yet its presence is quiet and unobtrusive. It has a unique distinguishing feature - a cool, blue LED strip on its underside that creates an ambient glow. 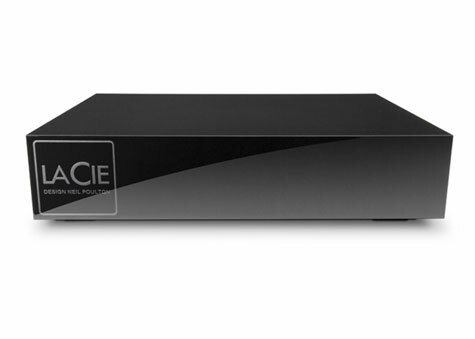 Its subtle, all-black design blends perfectly into dark home entertainment setups and workstations. Very small for its vast capacity, this lightweight, compact drive has a fashionable, mirror-polished finish. 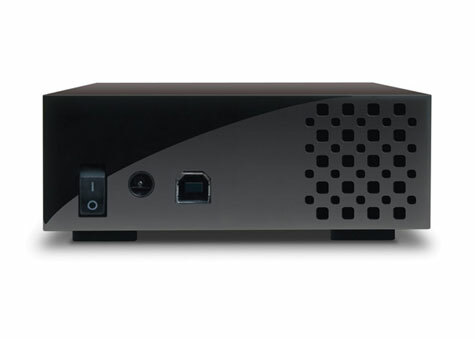 The smartly engineered design allows for heat dissipation and near-silent, fanless operation. 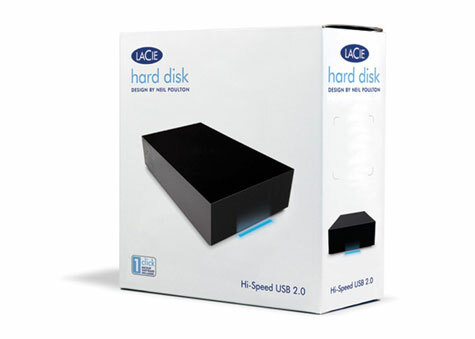 With Hi-Speed USB 2.0, this efficient hard drive makes a great companion to your PC or Mac. Setup is nearly effortless; it’s plug & play and offers customizable formatting. 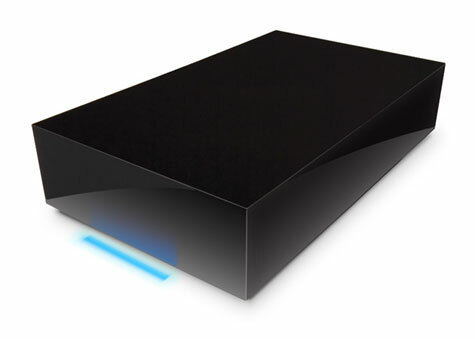 LaCie ‘1-Click’ Backup Software for PC and Mac is included for quickly saving files in one click.